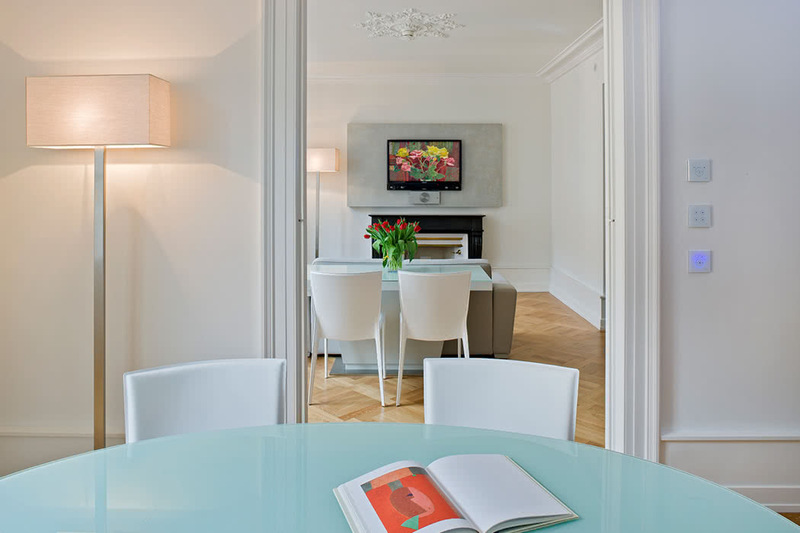 Chic, cosmopolitan and slick; words that could be used to describe both Swiss Luxury Apartments and the city of Geneva in which the apartments reside. 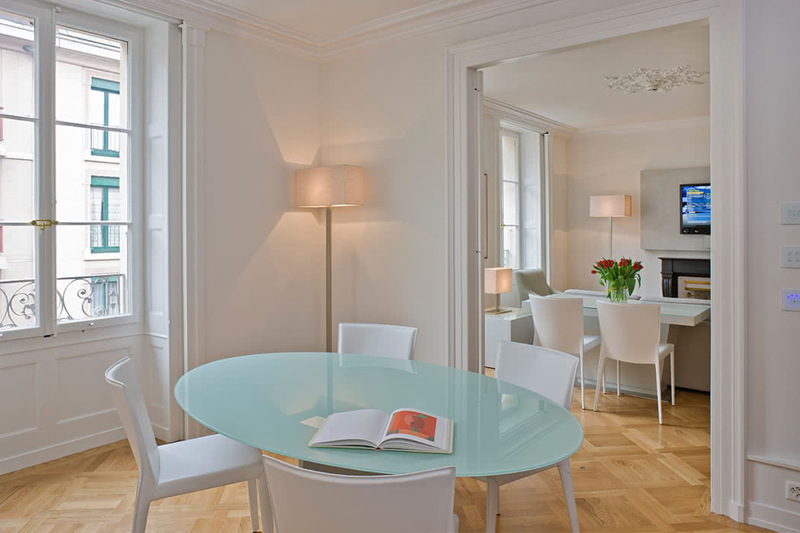 Swiss Luxury Apartments are perfectly located in the very heart of the beautiful lakeside Swiss city of Geneva. 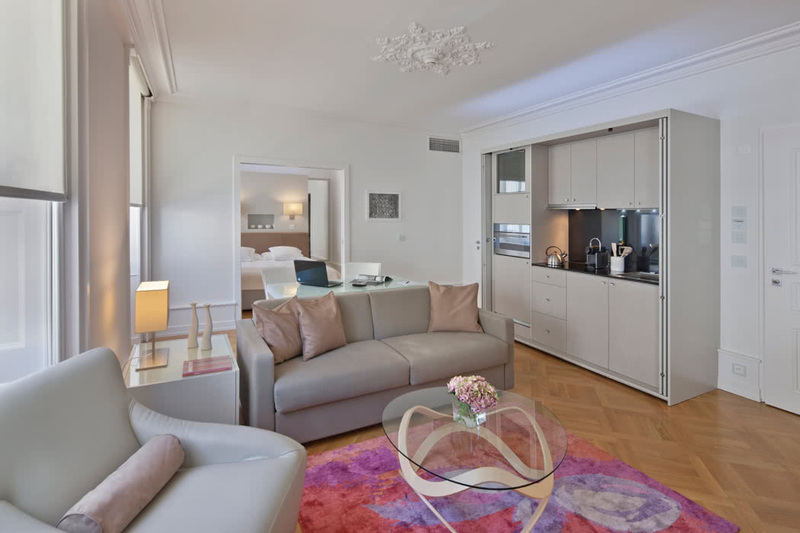 The apartments lie opposite the Le Richemond Luxury Hotel & Spa and the Beau Rivage Hotel in the centre of the business district and are conveniently close to several excellent restaurants and to the city’s vibrant nightlife. You are just 2 minutes from Lake Geneva, 600 metres from the main train stations and 150 metres from Geneva’s famous landmark, the Jet d’Eau. The beach is also a scenic 5-minute stroll away so whether your visit centres around business, pleasure or a bit of both, you’d struggle to find a better location. The apartments have that ideal quality, in my book anyway, of being historic on the exterior but contemporary inside. They are housed in a stunning historic building but when you enter it is to a modern, sleek, airy interior with high ceiling and lots of light. 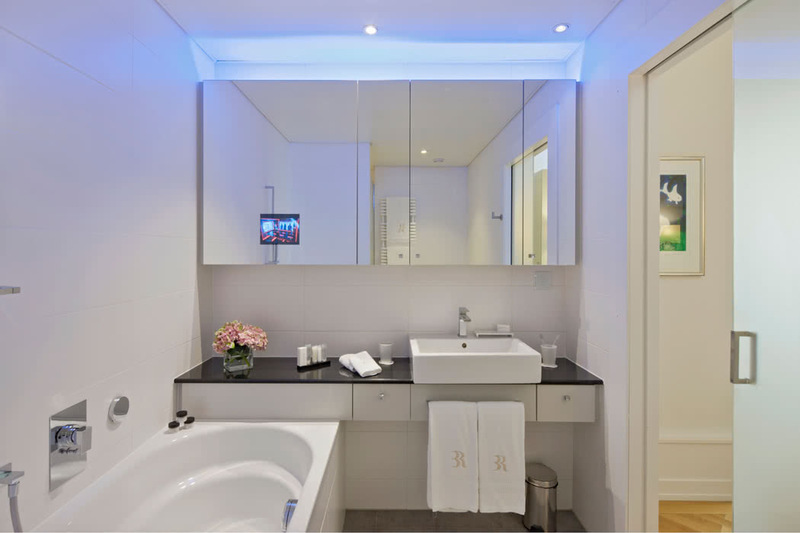 The exclusive apartments all benefit from air-conditioning and are a tech-lovers dream, being fully kitted out with everything from interactive HD TV to fully adjustable LED lighting in the bathrooms. 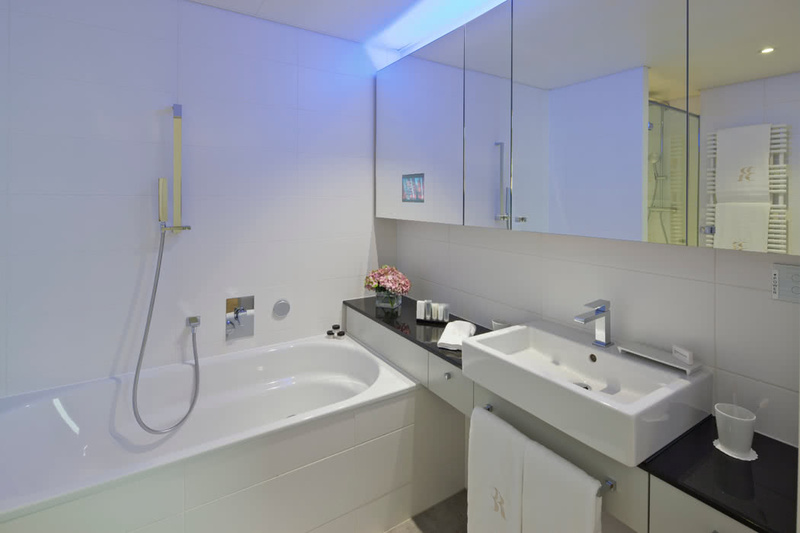 The communal facilities are exceptional for an apartment and are more akin to a luxury hotel yet you have all the flexibility to come and go as you please and a lot more space than the vast majority of inner city hotel rooms. 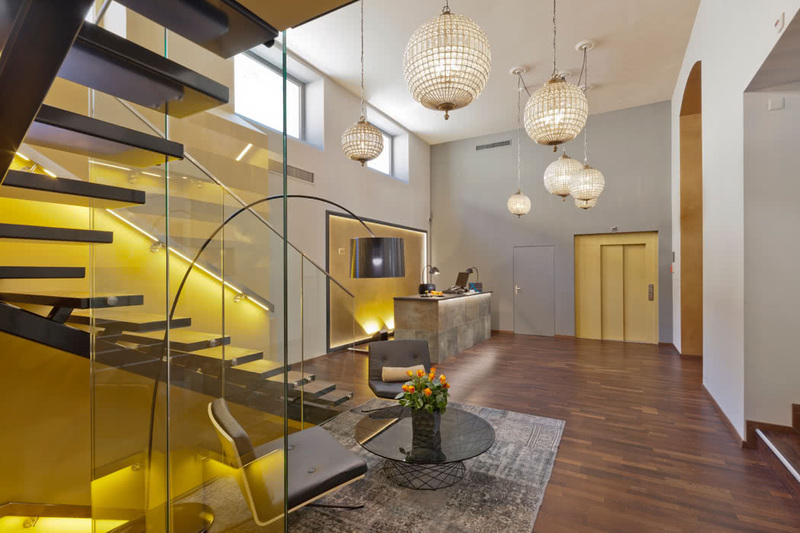 There are two VIP lounges, excellent business facilities including meeting rooms with conferencing capability and a business centre, and a limousine service is available on request. 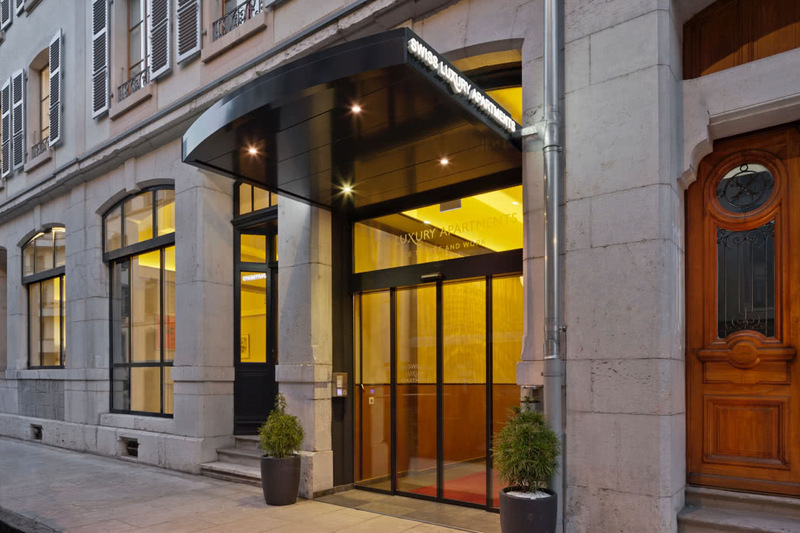 If your stay is an extended one, the private mailboxes will be extremely useful and the complimentary extras, which include newspapers, local & international calls, daily cleaning and unlimited laundry (yes really!) will be very welcome no matter the length of your stay. The service is also much more comparable to the typical service that you would receive in a 5-star hotel; you are greeted personally with a very warm welcome, there is a 24/7 Reception and Concierge Service and the staff are all hospitable, friendly and professional. 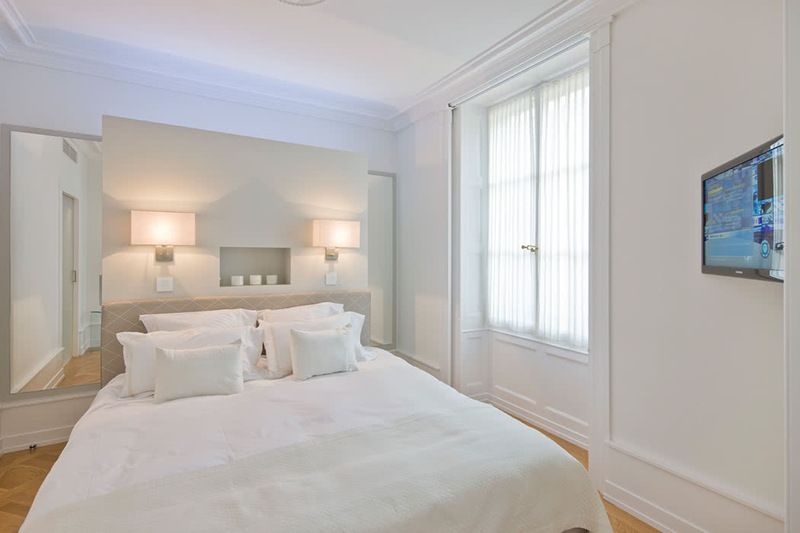 There is a choice of Superior or Deluxe One Bedroom apartments or Two or Three Bedroom Family apartments. 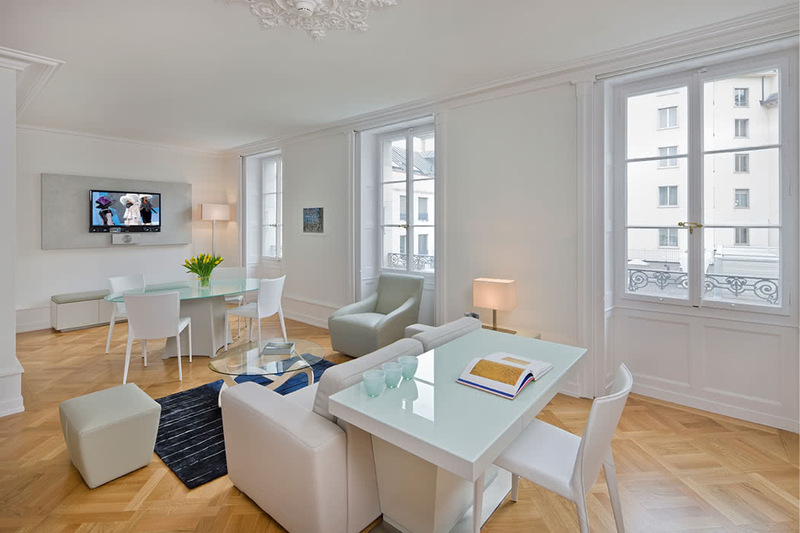 To some extent your party size will dictate your choice here but if you are opting for a One Bedroom apartment then the Deluxe is slightly larger and also includes a Dining Area in addition to the Living Room and executive lounge access. All the apartments include a sofa bed for extra guests and the Family apartments have as many bathrooms as bedrooms which minimises morning shower queues! The bedding is luxurious, you have a choice of pillows and the bathrooms have power showers and separate bath tubs; the ultimate in comfort basically. 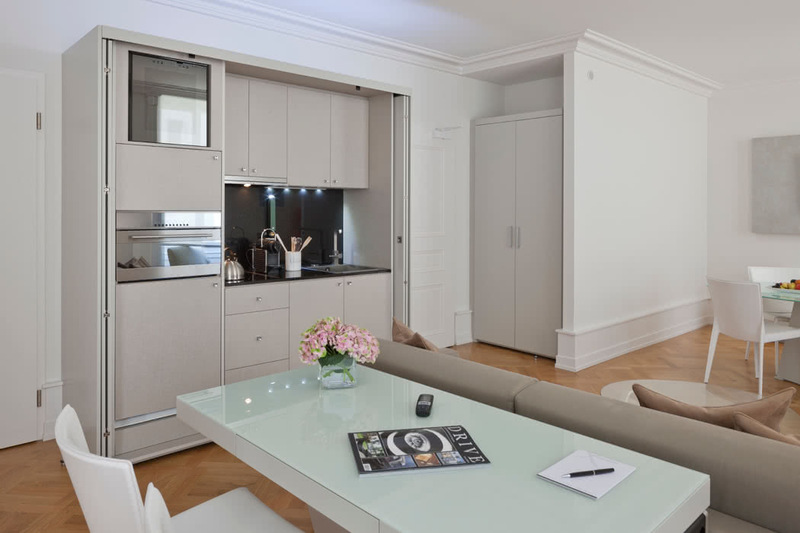 Your fully equipped kitchenette (which vitally includes not only a Nespresso coffee machine but also a wine chiller!) is great for self-catering and there’s a supermarket a 2-minute walk away. 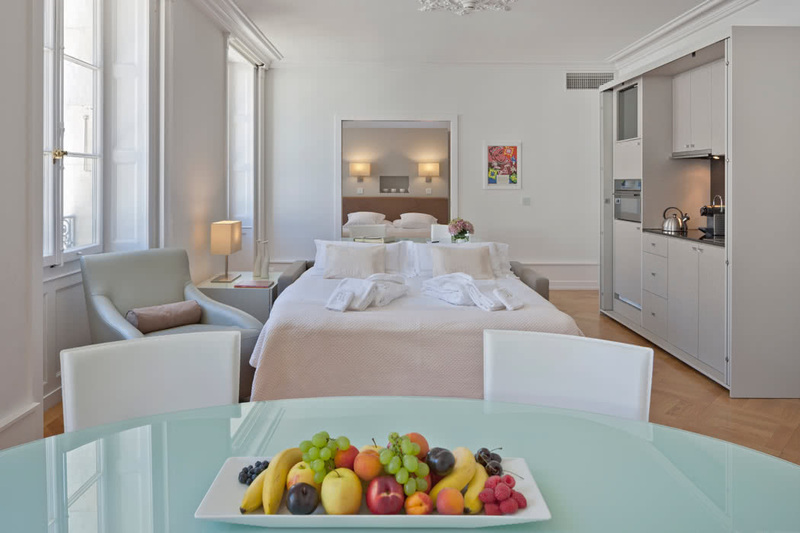 For home entertaining and dining; your minibar is refreshed daily with complimentary soft drinks, private chef in-room dining can be arranged and, in the morning, (that’s until noon!) breakfast can be delivered to your room. But give yourself a much-deserved treat and make the most of your central location by eating out at some of the fine dining restaurants locally too.